209-page pdf book designed to provide educators with the basic knowledge base as well as the skill- and value-orientations that we associate with educating for a culture of peace. Although this work is primarily directed towards the pre-service and in-service preparation of teachers in the formal school system, it may be used in nonformal education. 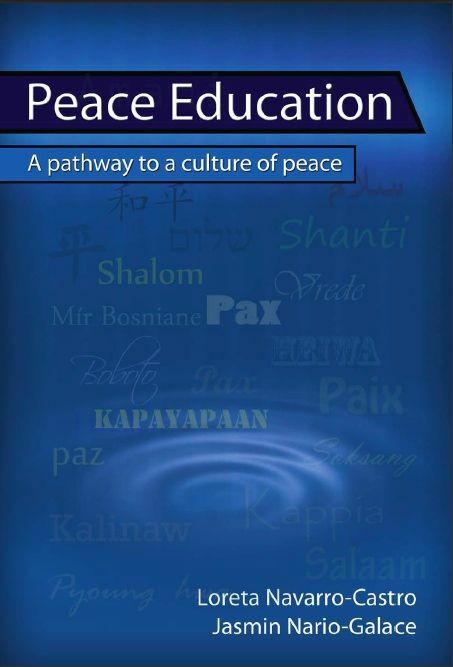 Part I presents chapters that are meant to help us develop a holistic understanding of peace and peace education. Part II discusses the key themes in peace education. Each chapter starts with a conceptual essay on a theme and is followed by some practical teaching-learning ideas that can either be used in a class or adapted to a community setting. Part III focuses on the peaceable learning climate and the educator, the agent who facilitates the planting and nurturing of the seeds of peace in the learning environment. Finally, the whole school approach is introduced to suggest the need for institutional transformation and the need to move beyond the school towards engagement with other stakeholders in the larger society.